Living in the shadow of other people is never appealing. However, there are a few who have broken the shackles and emerged as winners. 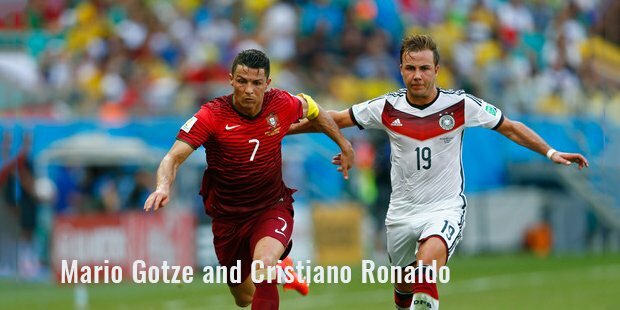 This is the story of Mario Goetze, a young football player from Germany who singlehandedly carved a surprising FIFA World Cup this year for his country. When Mario was a 19-year old teenager, football legend Frank Beckenbauer compared him with Lionel Messi, the Argentinian star footballer. It is ironic that Germany was playing against Argentina in the World Cup final and Mario, who came as a substitute scored the winning goal in the 113th minute of the game. Nobody would have foreseen him to achieve an equal greatness and emerge out of Messi’s shadow. Mario was born on 3 June 1992 in Memmingen which is in Bavaria. He has an older sibling, Fabian who also a footballer and a younger brother who plays for the Dortmund’s under-15 team. Mario’s father Jurgen is a professor at the Dortmund University of Technology. The Goetze family is devout Christian and this has made Mario extremely religious. Mario got his first playing break when he joined the Borussia Dortmund’s football academy as a youngster. From there, there was no stopping Mario. At a tender age of 17 he was selected to play for Dortmund. It was under the guidance and support of Jurgen Klopp, the Dortmund manager that Mario began shining, honing into a player that the 2014 World Cup revealed. In the 2009/10 season Mario made just five appearances for Dortmund but the following season he was the regular starter for the club, scoring eight goals and 15 assists. In the 2012/13 season, he finally broke ranks and began showing the glimpses of the talent that Klopp knew he possessed. His goal-scoring abilities helped Dortmund reach the finals of the Champions League. In 2013, Mario moved to Bayern Munich in a multi-million transfer. This transfer made Mario the most expensive German football player in history, with Bayern Munich paying US$37 million for him. The same year, this record was broken by Mesut Ozli. During the controversial transfer that happened for a mere 36 hours before Dortmund could take on Real Madrid for the semi-final match of the Champions League, it was revealed that Mario was bent on playing under Bayer Munich’s manager, Pep Guardiola. The transfer proved lucky for Mario as well as Bayern Munich. He scored 15 goals and also had a role to play in 13 assists. What Makes Mario Goetze Good? His fleet-footed maneuvers are legendary. It is a treat for the eyes to see Mario evading defenders and using both feet to shoot goals. He is comfortable playing as a false, left winger and right winger. Perhaps it is this unique ability made it easy for people to compare Mario to Messi. On that eventful day, Mario Goetze proved to the world that he was not a pretender but a deserving successor to the throne. On 13 July 2014, Mario stepped out of Messi’s shadow and showed the world why he was one of the most expensive German football player. He carved a niche for himself becoming the youngest player to score a winning goal in FIFA World Cup history. Mario does not want to be the German Lionel Messi. After the win, he said that he rather be a German Cristiano Ronaldo! 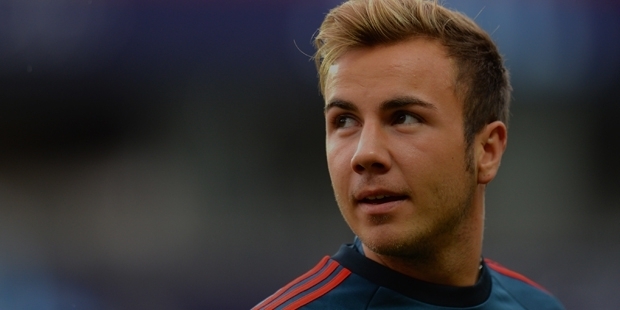 Now, most young football players aspire to be like Mario Goetze waiting to reach the zenith of success just like him.